When it comes to the practice of civil asset forfeiture, groups that rarely see eye-to-eye have found themselves sharing a common cause: restricting or eliminating the practice. Cash-strapped law enforcement agencies simply cannot afford to get the job done without forfeiture, and pushback by lobbyists against calls for reform have been successful in some places but not others. But when the American Enterprise Institute (funded by the Koch Brothers) and the American Civil Liberties Union find a reason to work in concert, law enforcement leaders can continue to play defense in the court of public opinion. 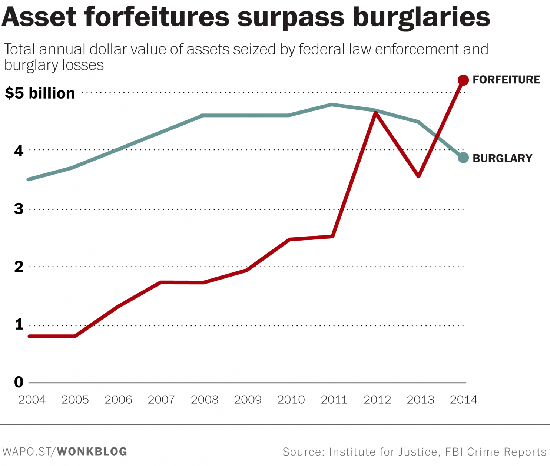 One of the things that critics of forfeiture like to point out is that, in 2014, law enforcement actually took more cash from people than burglars did. That’s never happened before. Ever. Critics, like AEI’s Mark J. Perry, say that a system where law enforcement can relieve people of their money and property without any criminal charges ever being filed is, at best, an unsustainable practice. If police used this tool as it was intended instead of a way to pad their budgets, there wouldn’t have been this type if increasing push back from the community and the legislature. Citizens should have to fear carrying cash while traveling within our borders. The problem is so bad, that Canada actually issued a travel advisor to their citizens about this practice. The rules need to change. If there is no criminal conviction, then their should be no forfeiture. If LE cannot directly attribute property to the crime, their should be no forfeiture. 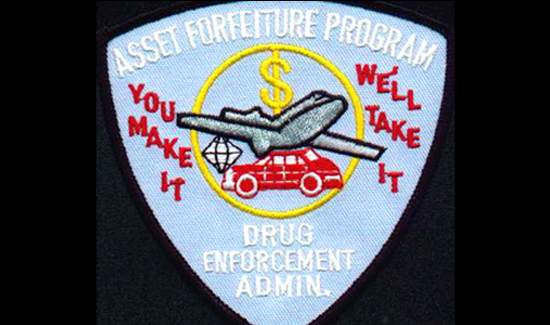 If any monies are collected from forfeiture, then those dollars should go the general fund. The public is tired of our police acting as road pirates.